It’s mortifying. You’ve built up that hilarious picture you took of your cat doing something cute and your friend stands by politely while you swipe through a seemingly endless procession of shots that are decidedly not your cat doing something cute. Where did it go? Orbeus knows that feeling and its upcoming ReKoMe iPhone app will help you easily find any image you’re looking for on your phone. The company is showing the beta version of ReKoMe at Macworld/iWorld this week, and is prepping for the official launch of the app in two to three weeks. ReKoMe applys visual recognition technology to help you find photos on your phone. The more people turn their smartphone into a default camera, the more photos accumulate on the phone, becoming a chore to categorize. 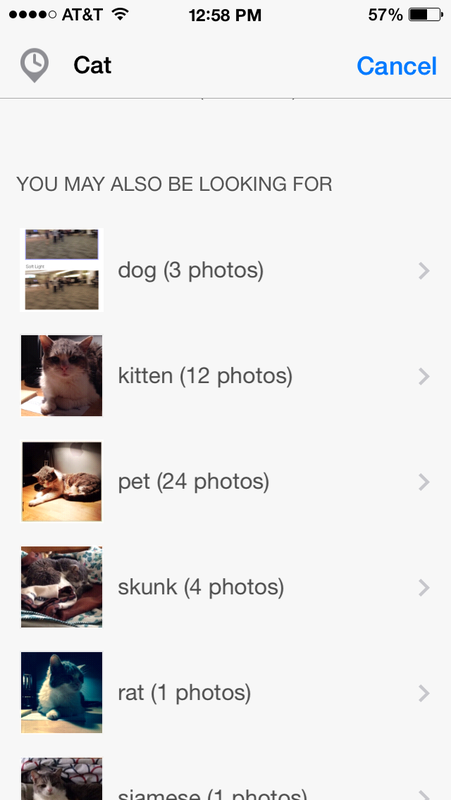 Unlike search utilities that rely on users to classify photos with keywords, ReKoMe uses its database of thousands of categories to intelligently do that classification for you. Already programmed to locate specific photos according to time and geolocation, ReKoMe takes the search function further by automatically organizing images into commonly used categories. It can recognize some 3000 concepts including scenes, objects, and people in its universal search function. Main searches can be refined by both location and date. 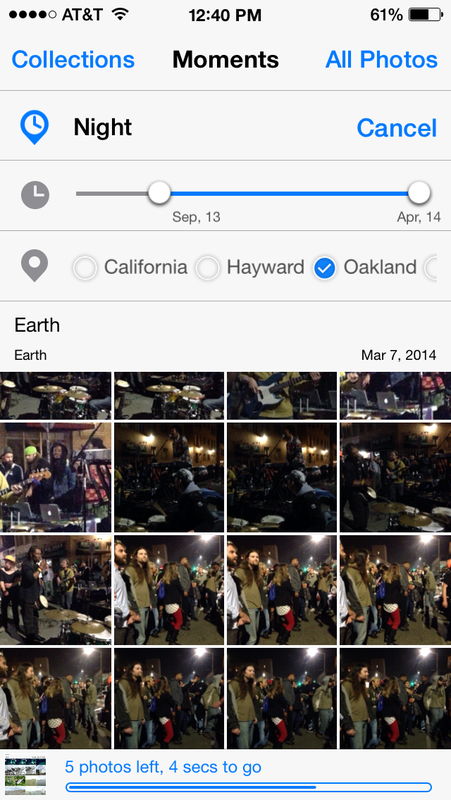 Using its search bar, you can locate the images you’re looking for by category and then narrow the search even more. All of this takes just a tap and slide. Narrow down your concept search by time and place. I have over 600 images on my phone, and with the beta version of the app, it took about 12 minutes to get everything classified. It placed keywords such as Car, Dusk, Night, Performance, Animal, Sports, Scenic View, Nature, and more. The categories seemed a bit general, and there was some overlap and mistakes. But I found it promising that the app was able to correctly tag a presentation that I had gone to that morning as precisely a presentation. Just for giggles, I typed in the search word Cat, and it then automatically refined the existing categories to include cat, dog, and skunk. 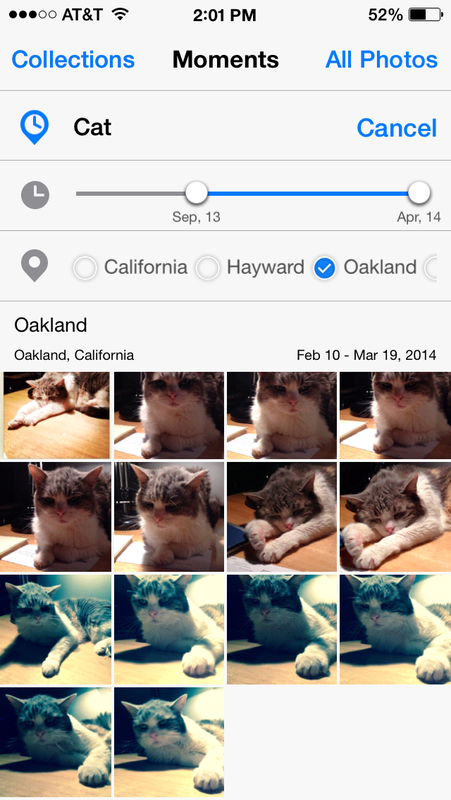 And it did correctly identify the cat pictures—except for one shot. Type in a common keyword, like cat, and ReKoMe will properly match it. ReKoMe’s first launch is limited to the iPhone. However the company, which already features cloud-based, visual recognition APIs, is committed to expanding the app’s search capabilities to the desktop hard drive and adding video searching functionality for the future. Face recognition, which the company considers critical, is also planned for future versions after the initial launch.